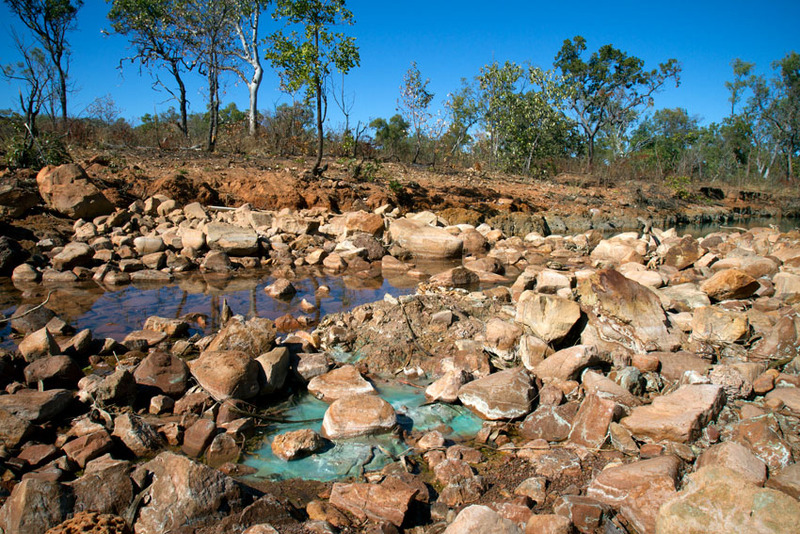 Redbank is a copper mine located in the north-east corner of the Northern Territory near the border with Queensland in the Gulf Country. 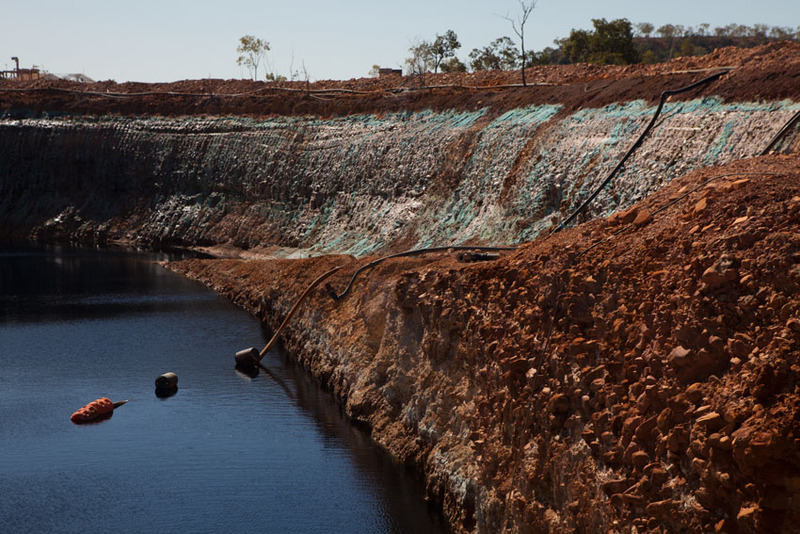 It ceased operations after 3 years mining in August 1996 due to falling copper prices and is now on ‘care and maintenance’. 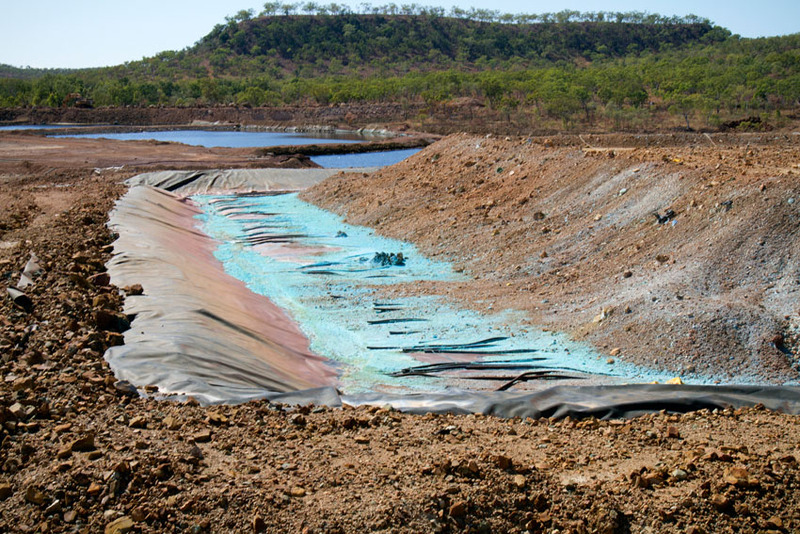 Photographs obtained recently suggest that severe contamination from the site is escaping into the local environment and relentlessly impacting on Hanrahan’s Creek – as shown below. 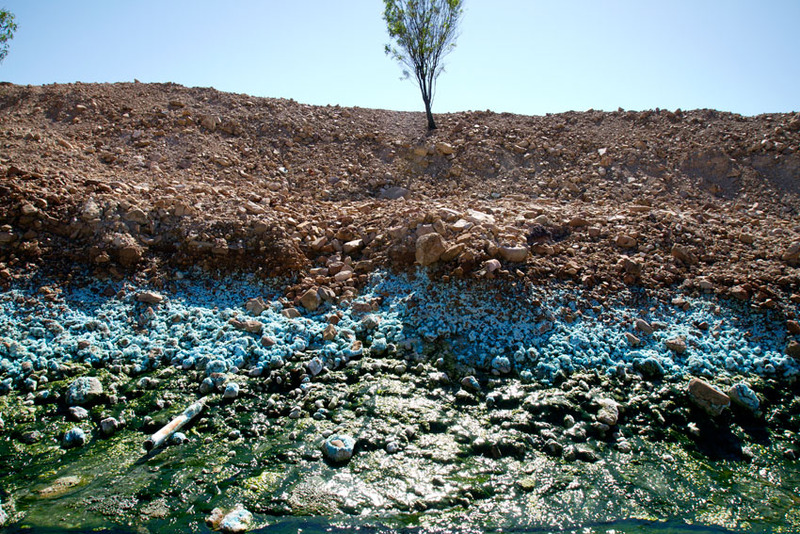 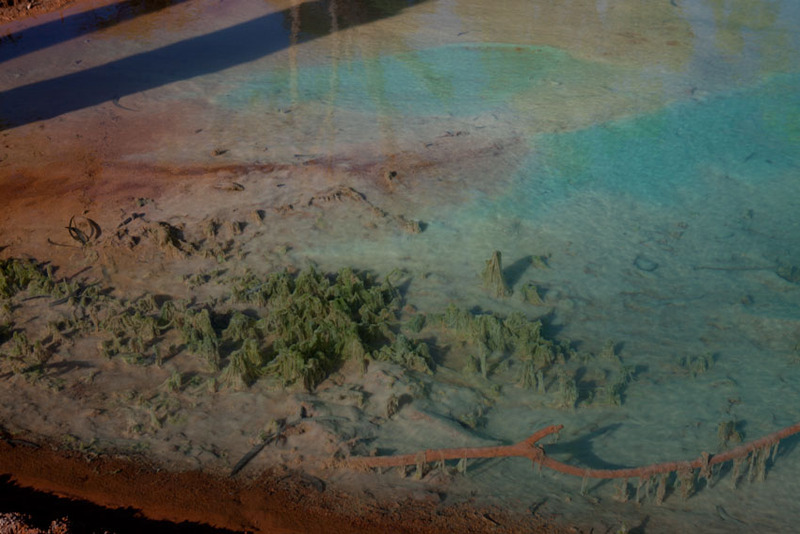 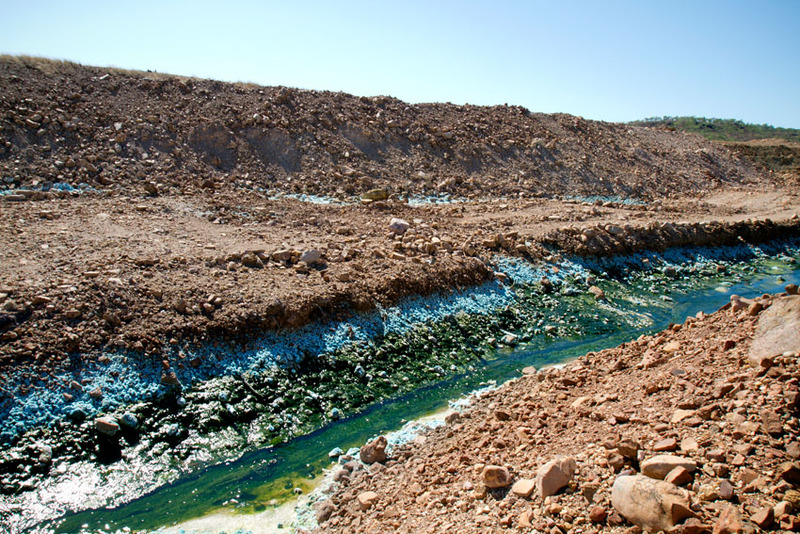 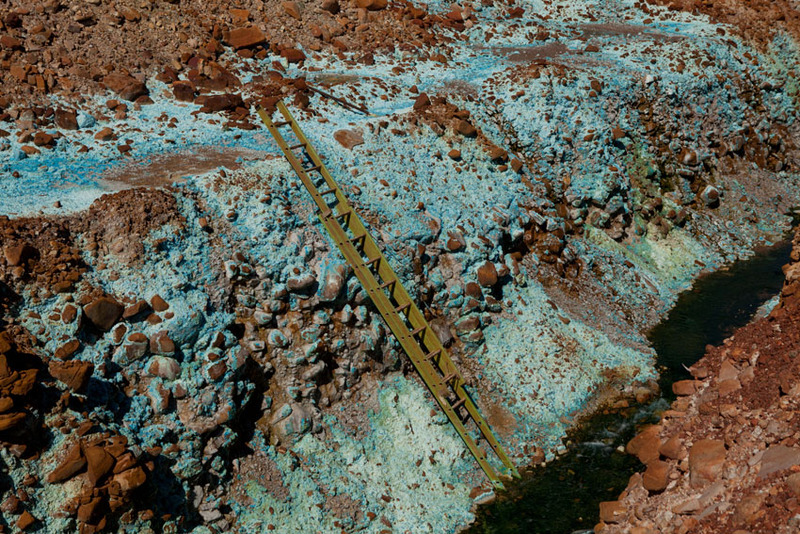 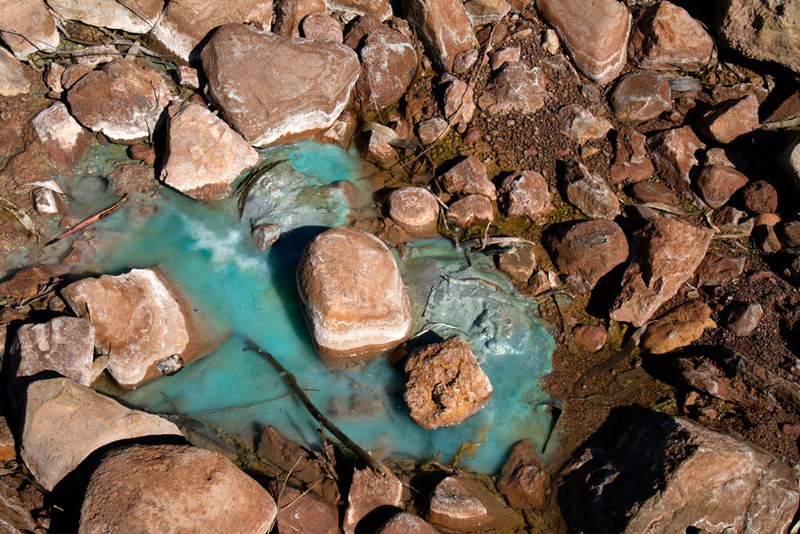 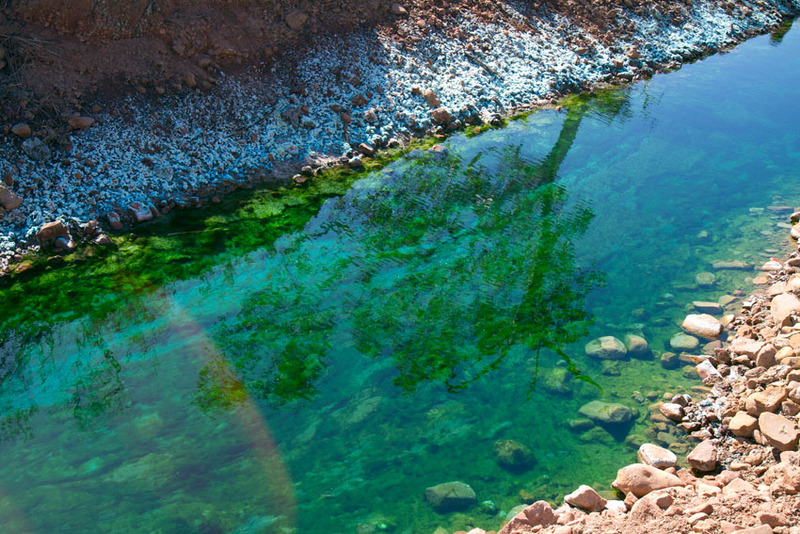 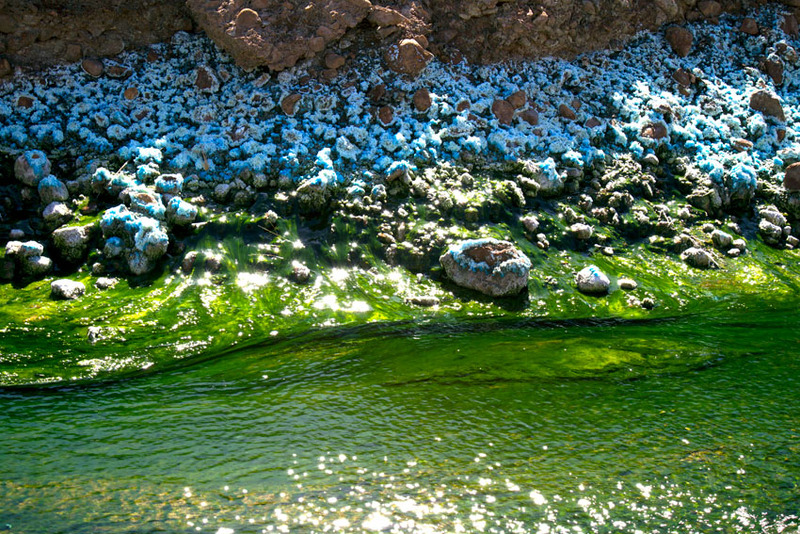 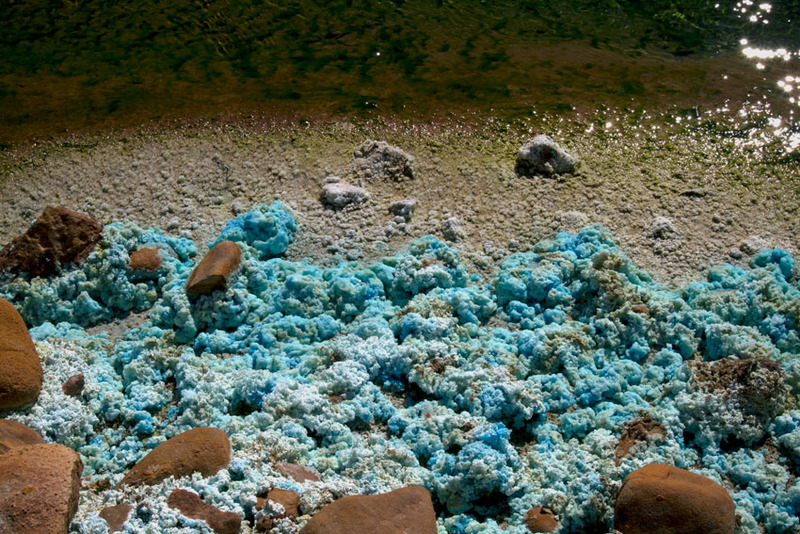 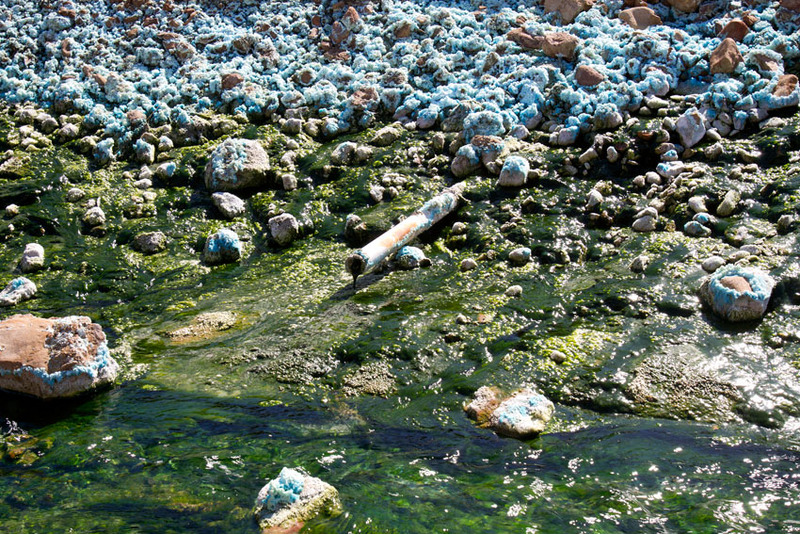 The polluted water leaking out of the waste rock dumps has a pH of 3 – making the water extremely acidic. 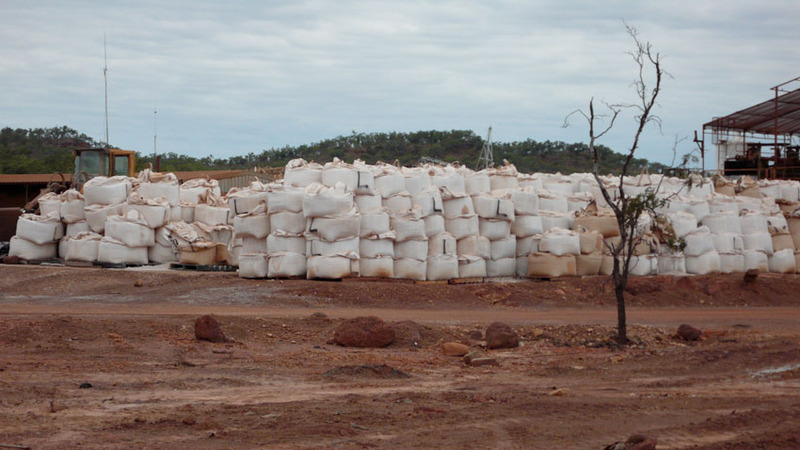 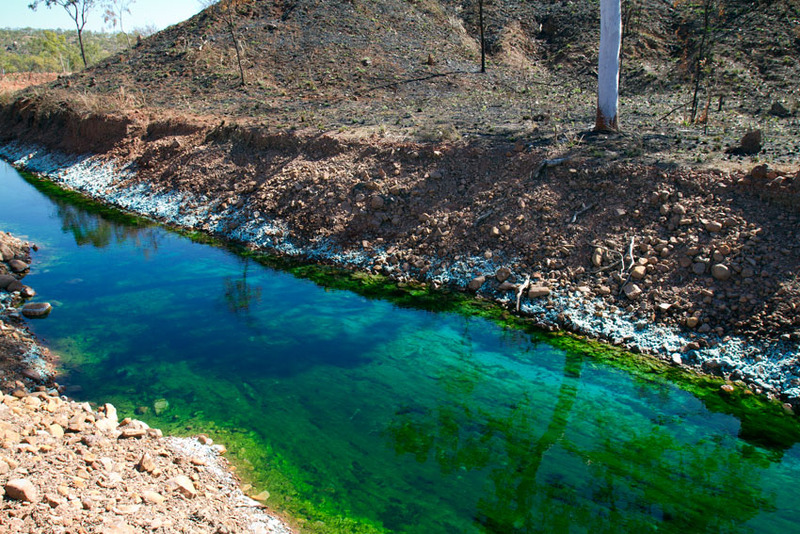 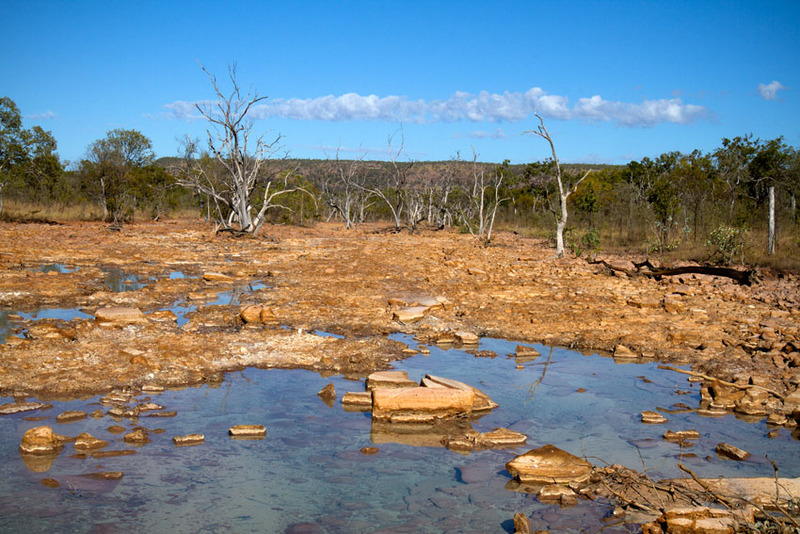 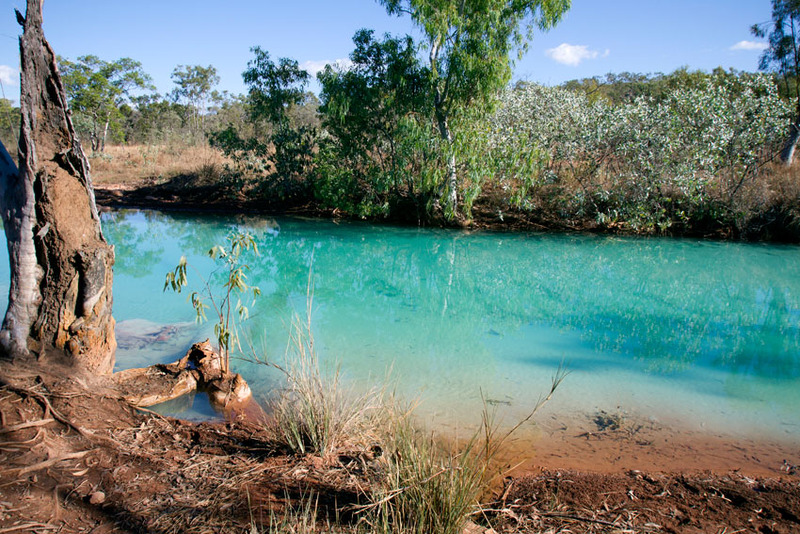 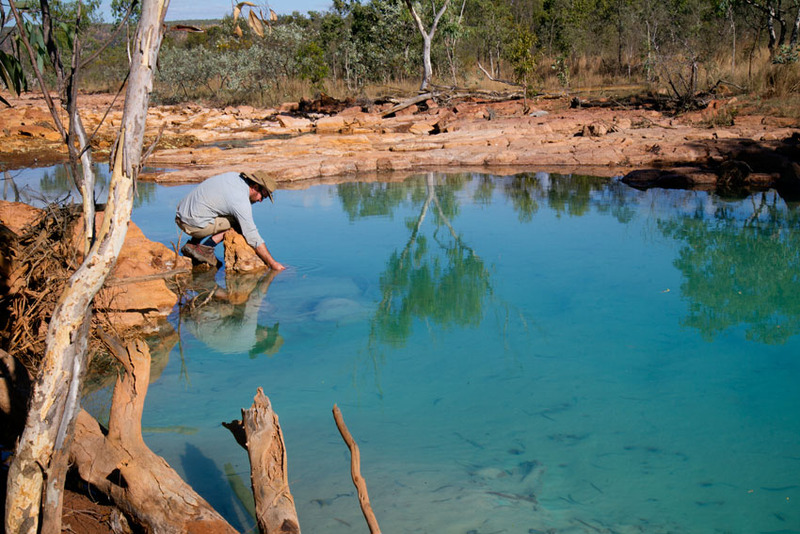 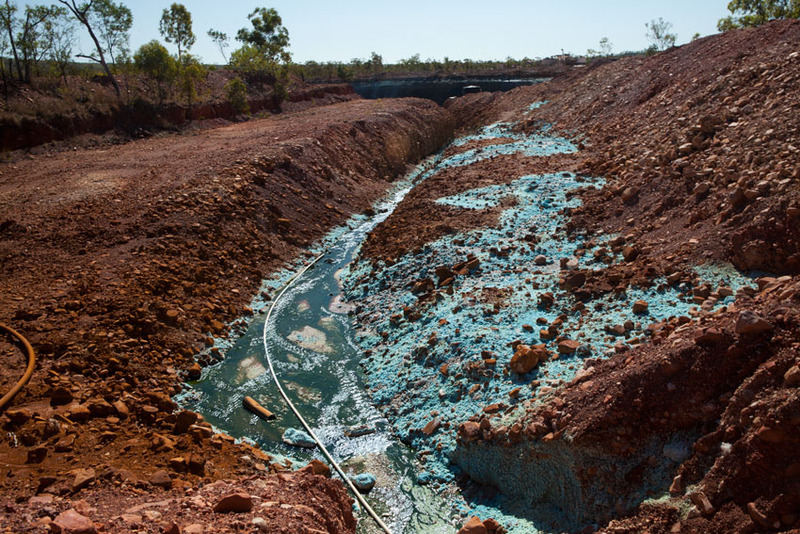 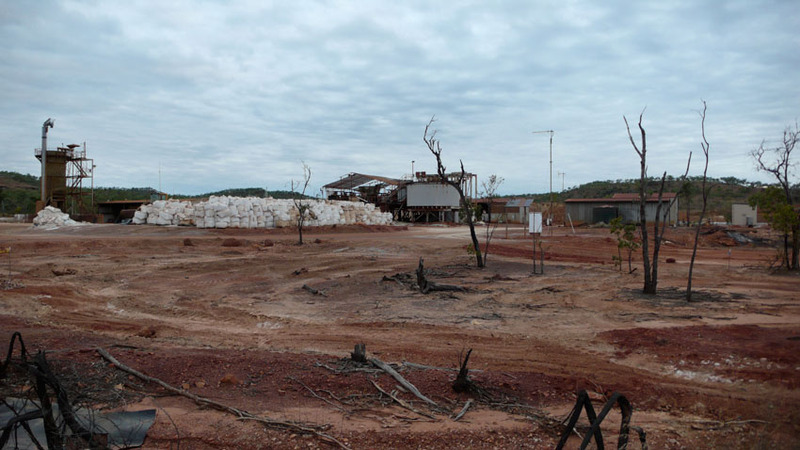 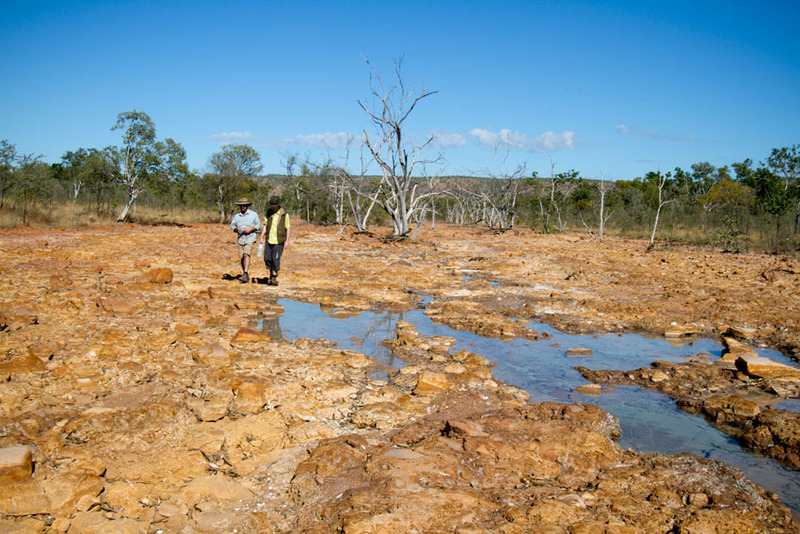 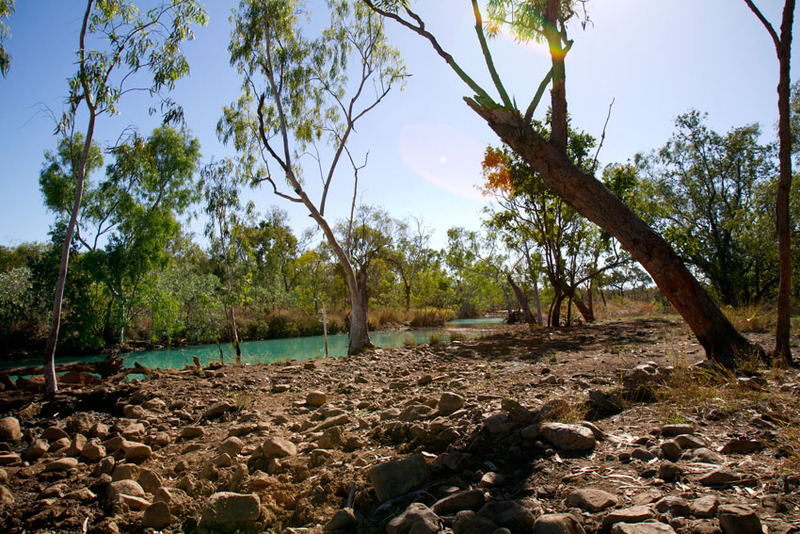 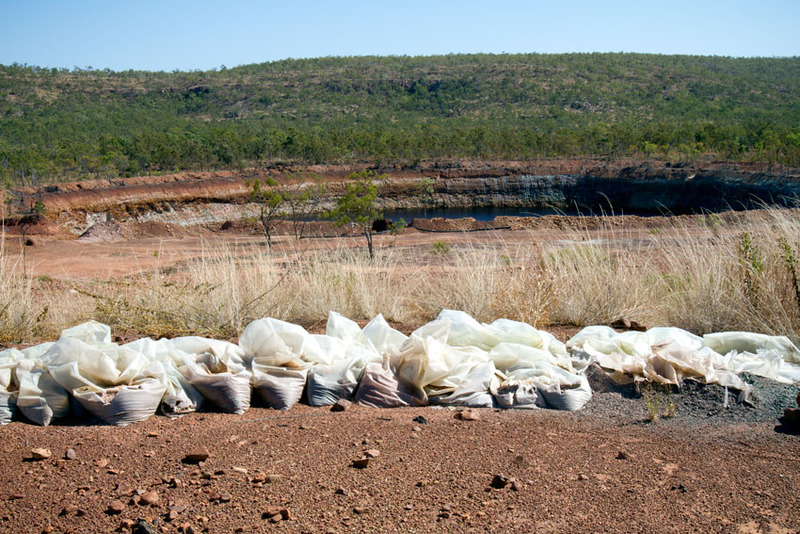 Not only has the regulatory system failed to protect the environment by ensuring a sufficient financial bond was set aside in the 1990s for rehabilitation should the mine go bankrupt, but ever since the NT Government has clearly failed in its efforts to force remediation of the site. 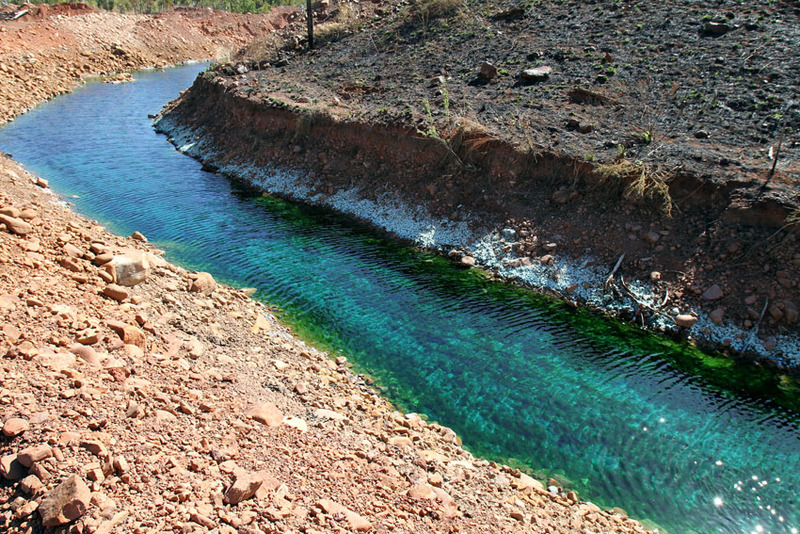 The mine is currently the only asset of Redbank Copper Limited, and although they released an Environmental Impact State on a possible re-development of the mine in 2009 which could have led to site cleanup, they recently shelved such plans in early 2011 to focus on exploration to find additional copper deposits and improve project economics. 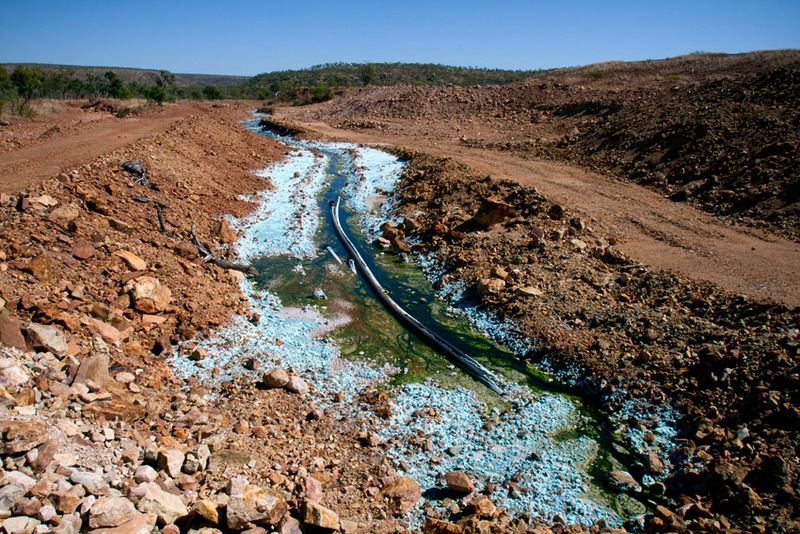 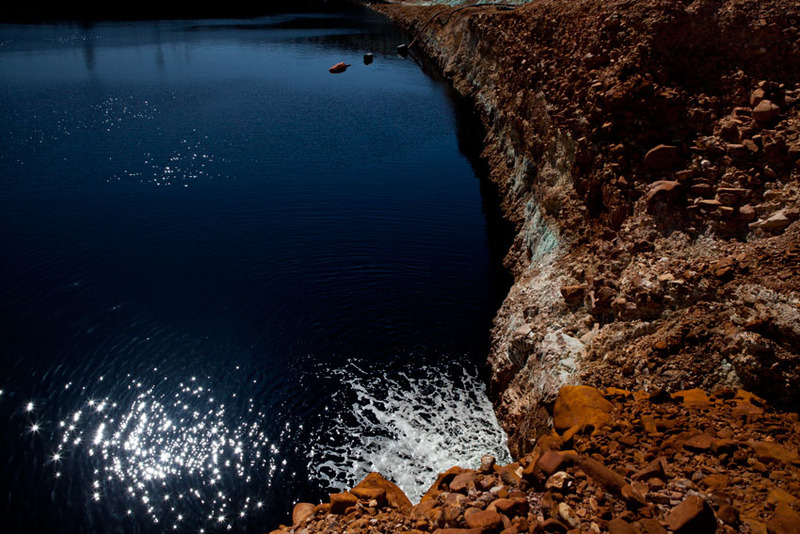 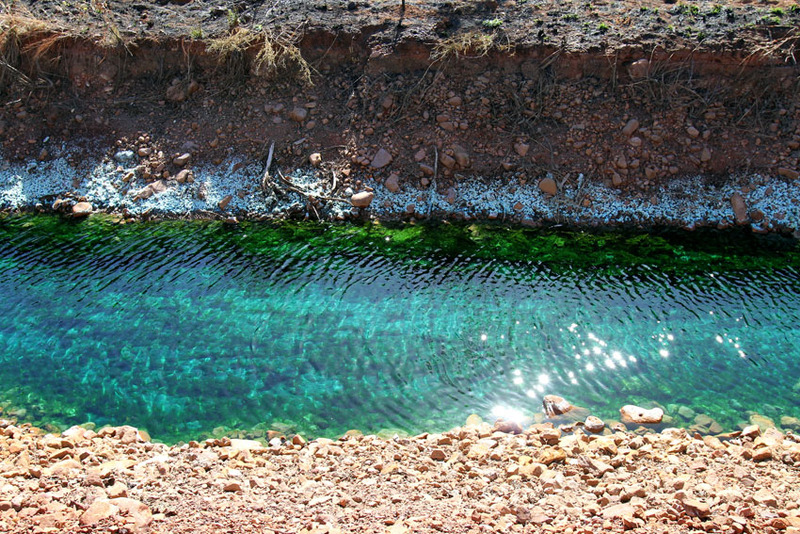 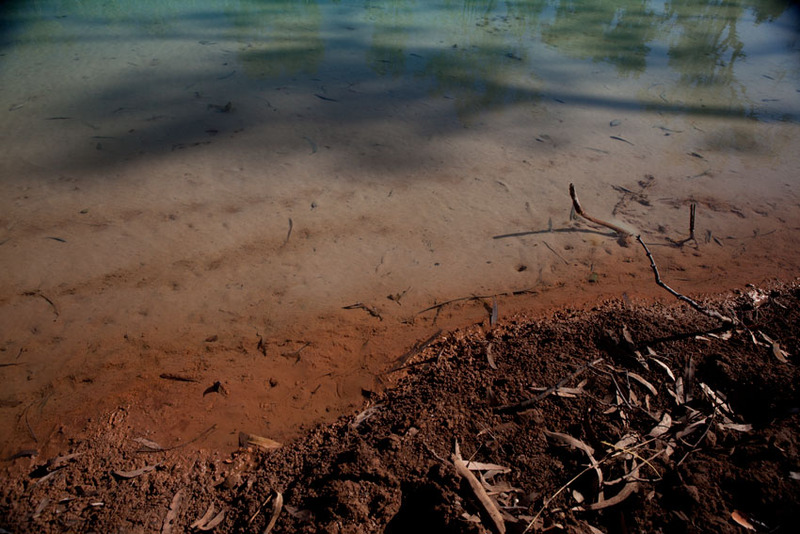 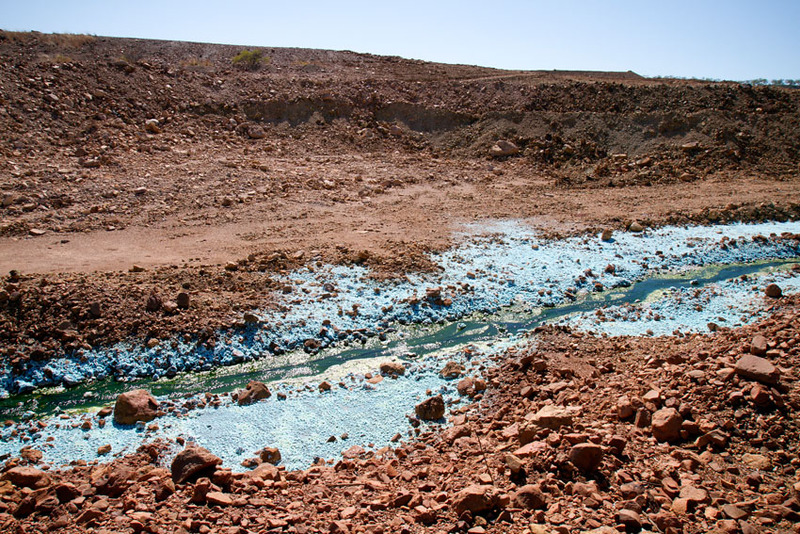 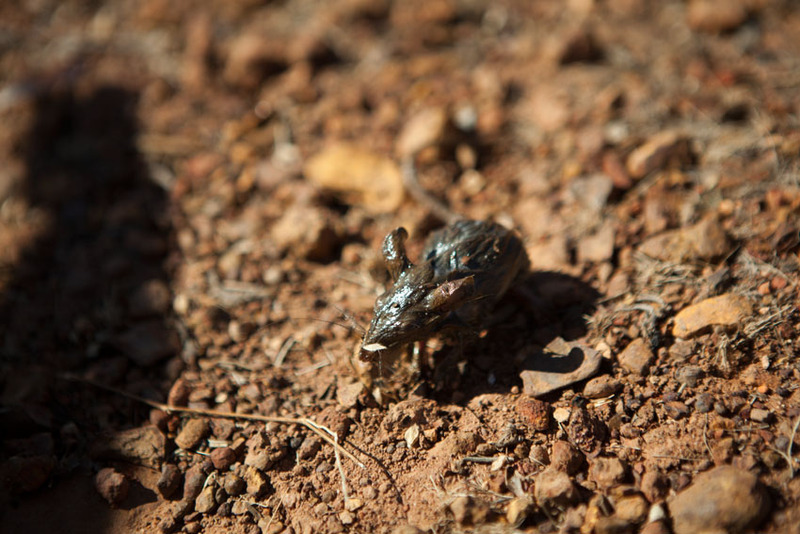 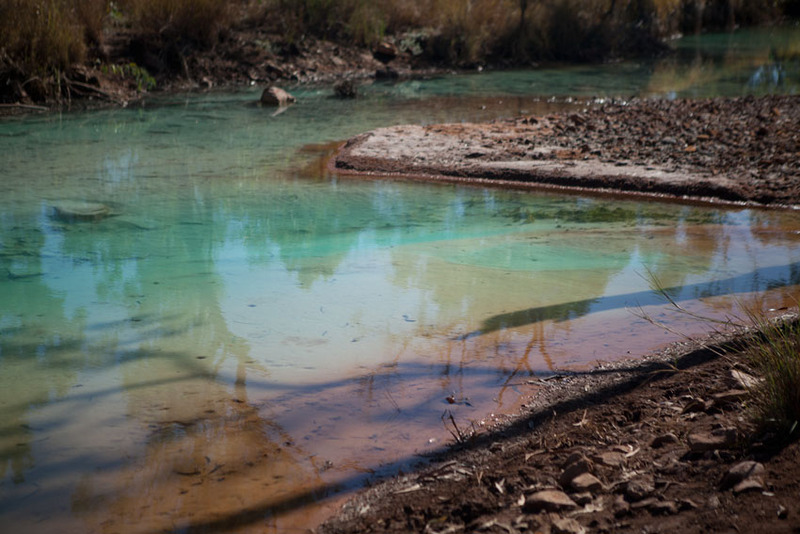 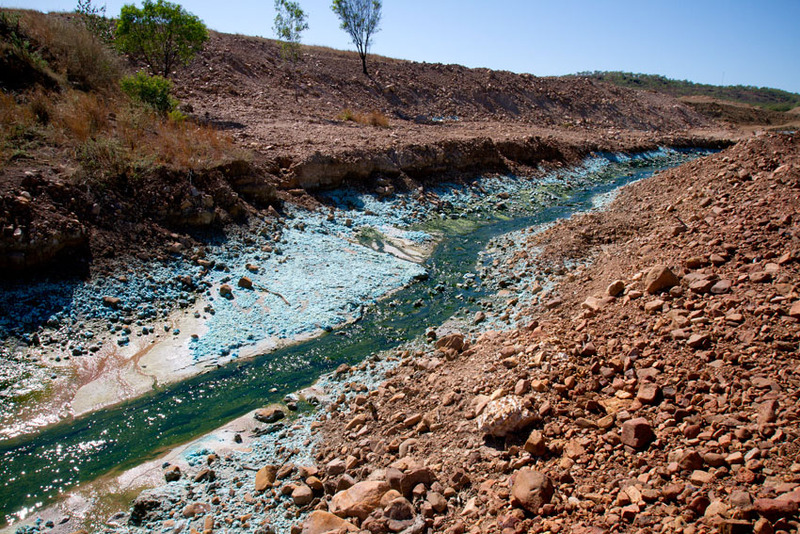 The site is a severe example of extreme pollution caused by acid mine drainage (AMD) – and is a clear case of regulatory failure and industry inaction. 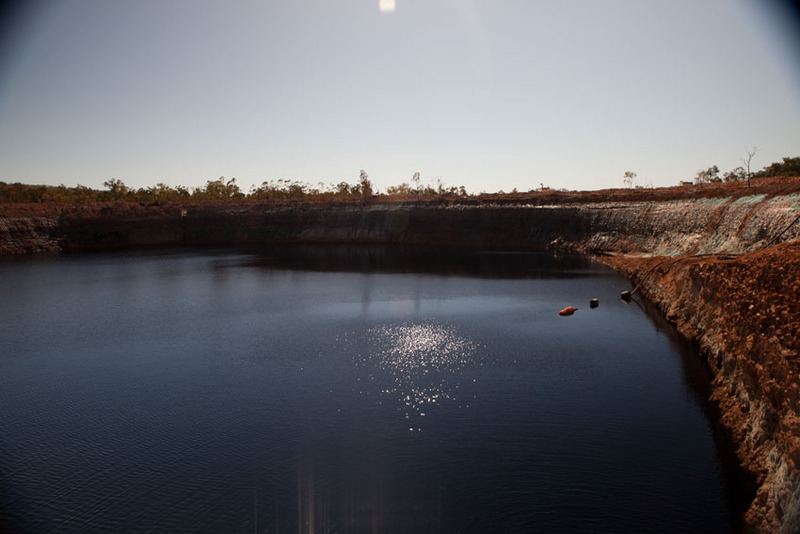 Redbank Mine, QLD/NT from jessie boylan on Vimeo.